A magical girl story, starting after four cours. 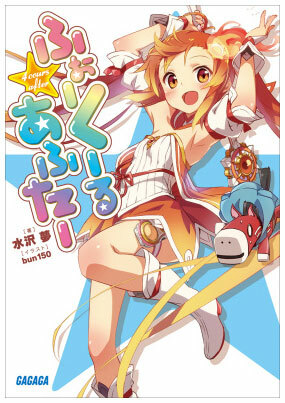 High school student Hoshigami Hina gains the power of the stars under the guidance of a horse shaped UMA, or Uma-chan. She defeats the invading threat to Earth and thinks everything is over, but then finds out that more invaders are coming, and her battles have been broadcast to Uma-chan’s home star system as a children’s show, and if she can’t find her replacement, she’ll have to be the main character for the next four cours! ?